Chipotle has got to start expanding these new options ASAP. 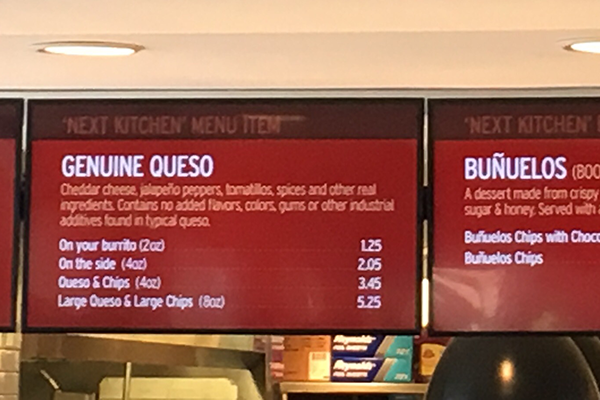 Chipotle's stock (CMG - Get Report) may have fallen on hard times recently, but if the company's new queso offering is any indication, shares will not dip any further. The Mexican fast-food chain unveiled several new food options at the company's only public test kitchen, Chipotle NEXT Kitchen, in the Greenwich Village location in New York City on Wednesday. These new offerings include queso, an avocado citrus vinaigrette, frozen margaritas and buñuelos (available at select locations since May) for dessert. The new offerings are reasonably priced, with the queso and chips combo costing $3.45, the frozen margharitas clocking in at $6.20, the buñuelos chips with chocolate dipping sauce priced at $1.95 and the avocado citrus vinaigrette being free of charge. Additionally, non-alcoholic strawberry frozen margaritas are available for $3.50, and queso can be added to a burrito for just $1.25. Chipotle has long been famous for the stability of its food menu -- in the past year, only one new menu item has been added, the chorizo meat option. But, the Mexican food chain's stock price has also struggled to regain its footing ever since an E. Coli crisis in 2015. That barrage of bad publicity decimated Chipotle's market value and left the company raising its prices to compensate for flagging attendance. Indeed, this past spring Chipotle raised prices in nearly 500 of its 2,300 stores nationwide by about 25 to 30 cents per meal. In order to make sure that patrons don't flock to cheaper alternatives like Moe's and Yum! Brands' (YUM - Get Report) subsidiary Taco Bell, Chipotle probably knew it was time to start shaking up the menu. 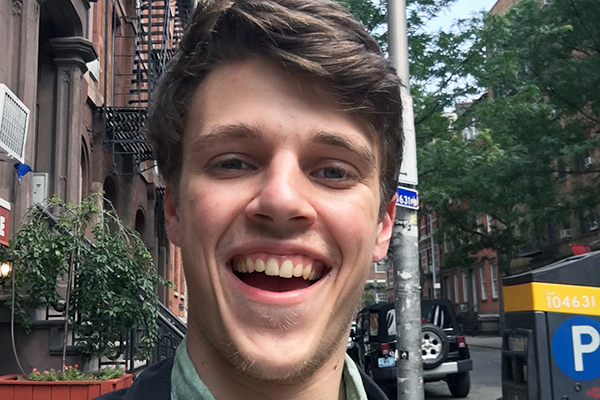 This reporter went to Chipotle NEXT Kitchen to sniff out which menu additions had mainstream potential. This was a really nice addition to my veggie salad. The avocado citrus added a nice tang to the proceedings that paired well with the corn and spring greens. If Chipotle were to add citrus fruits to the salad options, it would have the potential to turn this into something really special, as I found myself wanting an even stronger citrus flavor. 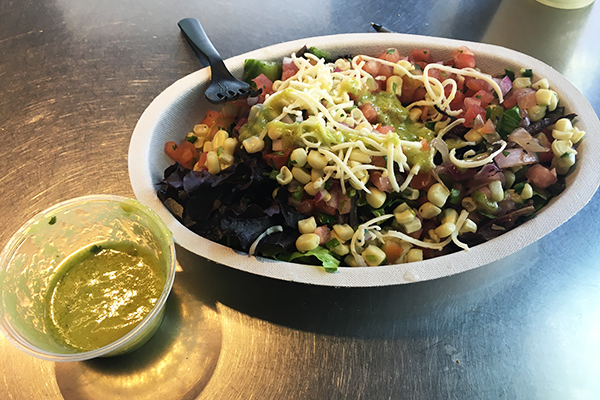 The vinaigrette is still a solid addition to the menu, though, and given that it's a free supplement it should prove a popular option among Chipotle patrons. Editors' pick: Originally published July 11. Queso fans will not be disappointed by this thick and cheesy dip. It makes for a savory flavor that carries a little bit of a kick, and the Chipotle chips are sturdy enough to support even the biggest glob of queso. The viscid texture will be appealing to people who don't like their dips processed, and you can tell that this queso is authentically made with a cheddar base given the density and richness of flavor. 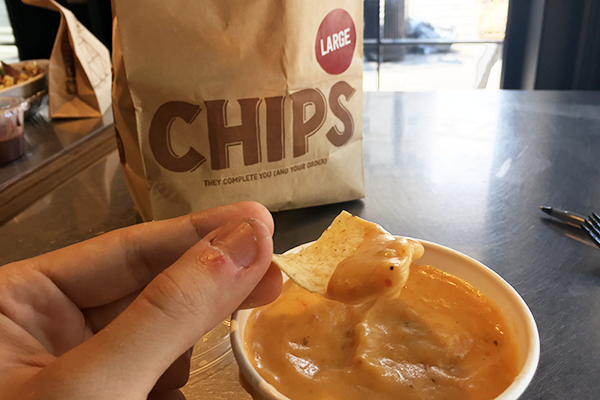 Overall, the queso dip follows through on the promise of healthy and fresh-tasting food, and should prove a popular menu item for Chipotle down the road. This refreshing beverage is ice-cold and comes complete with a lime garnish (which was quickly eaten by this reporter). It has a very saccharine flavor, which will please some margarita fans but could have used a bit of salt. 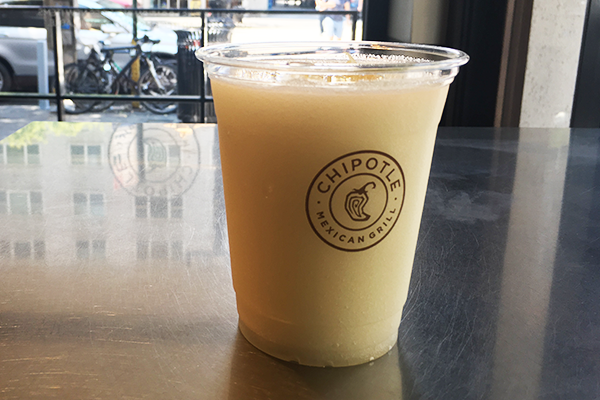 That being said, this offering should do well for Chipotle during the summertime, when people are jonesing for frosty, invigorating drinks. The queso was less successful in my burrito, but that may have just been because of my choice of meat. The savory flavor became indistinguishable from that of the chicken, and the two ingredients together overpowered the rest of the burrito. 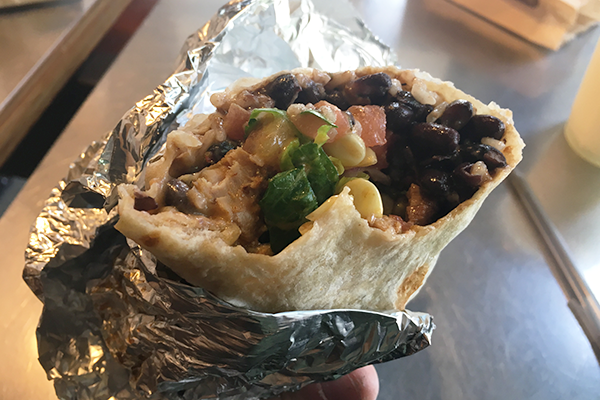 For future Chipotle patrons who are considering a queso burrito, it may be better to get a base like steak or veggies that will balance, rather than amplify, the queso flavor. A very sweet dessert that absolutely melts in your mouth. 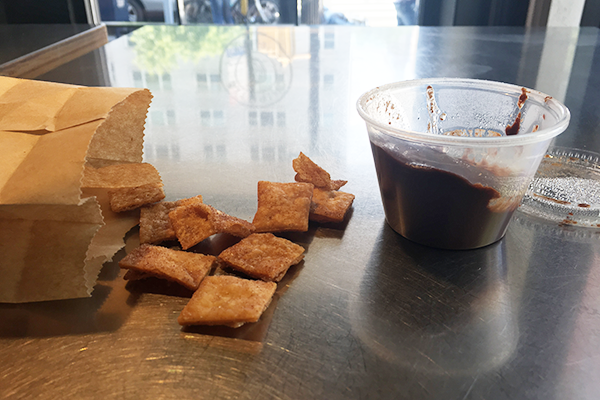 Though these buñuelos come in chip form, the fried dough taste still comes through and is a tasty pairing with the chocolate. It's a nice light way to finish out a heavy meal at Chipotle, and given that it only costs $1.95, it should be a popular addendum to consumers' meals. Expect to see a lot of faces like this walking out of Chipotle if the company expands its new food offerings. Good stuff!